The vehicle wrap industry is in a constant growth with new materials, technologies and installation methods. Due to such a large growth and talk of wrapping vehicles there have been some myths and misinformation floating around so we would like to clarify some of these common misconceptions about vehicle wraps. Myth 1: Leased vehicles cannot be wrapped. We often apply vehicle wraps to leased cars. 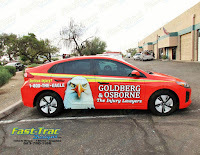 The wrap serves as a protectant of the paint on the vehicle and can be removed when your leasing period is over. Myth 2: Only white vehicles can be wrapped. What a myth! We can absolutely wrap cars of any color, make and model. Myth 3: Wraps are a waste of money. 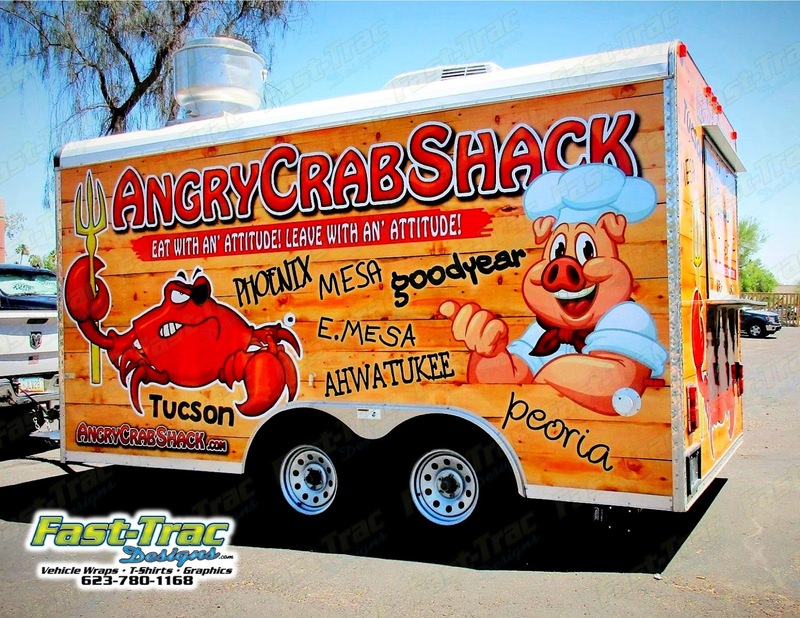 Compared to other types of paid advertising, vehicle wraps are the most cost effective. You already own your vehicle and with a onetime payment you own your wrap so there are not any monthly costs. The vehicle is driven daily getting more exposure than any online advertising host, plus the wrap often pays for itself with one or two jobs gained from a potential client seeing your wrap and using the services offered. Myth 4: I (the customer) can install and/or design the wrap myself. This is not so much a myth, more of a suggestion. 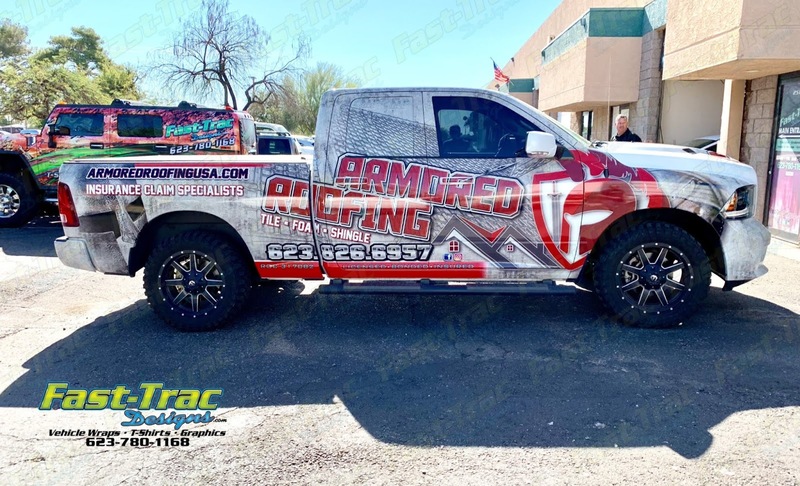 Sure, a lot of people can design the wrap and install it themselves but as the professionals here at Fast-Trac we advise against this if you do not have experience. Vehicle wraps are laid out on custom templates, designed and prepped for print in certain ways to ensure accuracy when installed. Clients that layout their own wrap risk their project taking longer if our design team must edit the files to fit properly on the vehicle. When wraps are purchased at Fast-Trac Designs we take your information and produce your layout then after approval and printing is complete we install in house. So, no need for our clients to attempt designing, installing and risking having a wrap with flaws. Myth 5: Vehicle wraps are permanent. Nonetheless we can still remove the wrap and even apply a new one. We hope this information helped you understand vehicle wraps a little more. If you have more questions or have heard some other myths about vehicle wraps feel free to ask in the comments below.